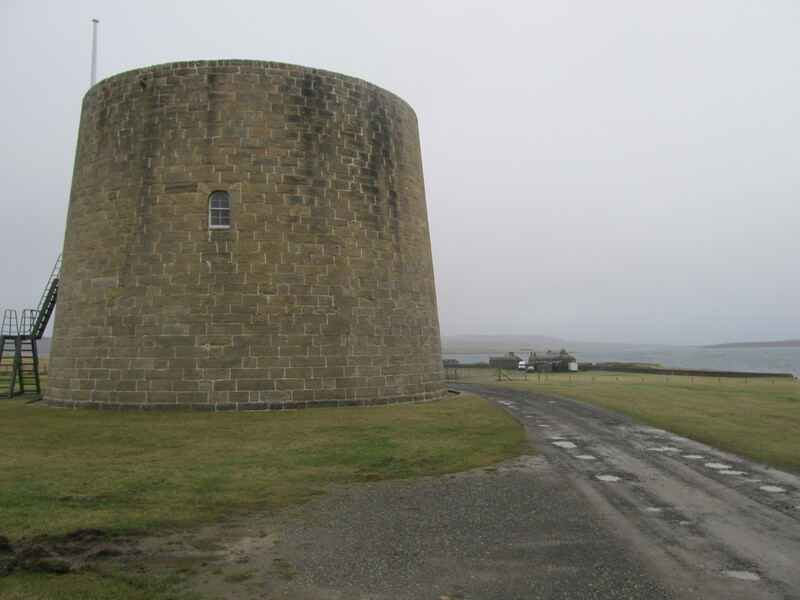 At Scapa Flow most of the extant naval heritage from its use as a naval base, 1914–57, can be found around Lyness on the island of Hoy. Photos taken by David Davies in January 2013. 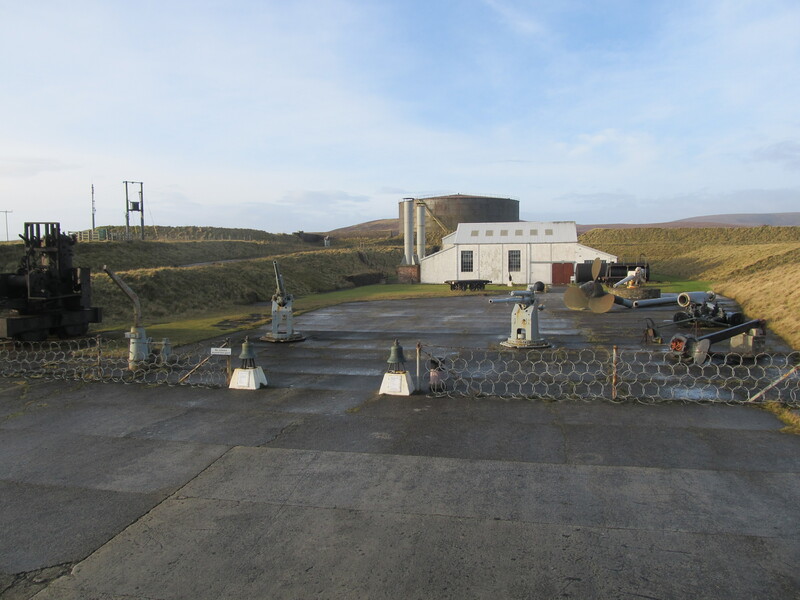 Lyness, Hoy: the Scapa Flow museum and visitor centre, featuring guns salvaged from scuttled warships of German High Seas Fleet. Image by J. D. Davies. 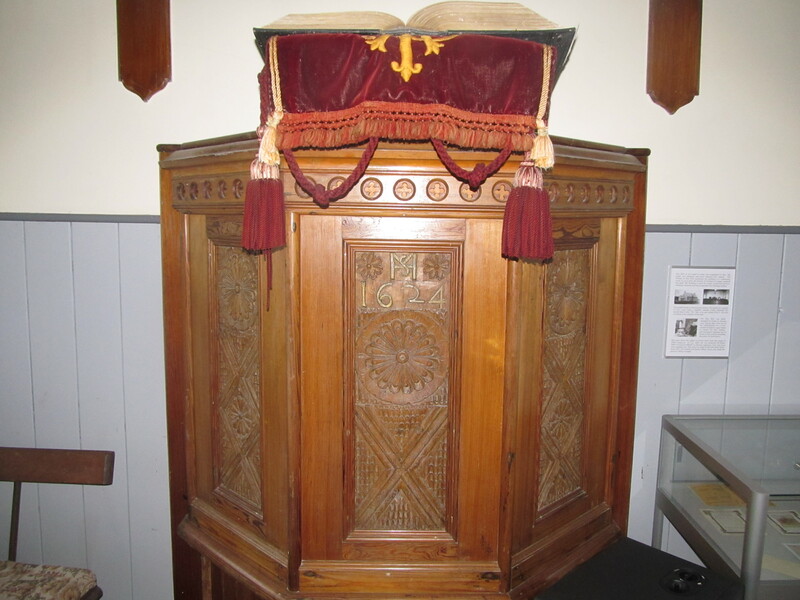 Hoy Kirk: pulpit allegedly made from panels salvaged from a Spanish Armada wreck. Image by J. D. Davies. 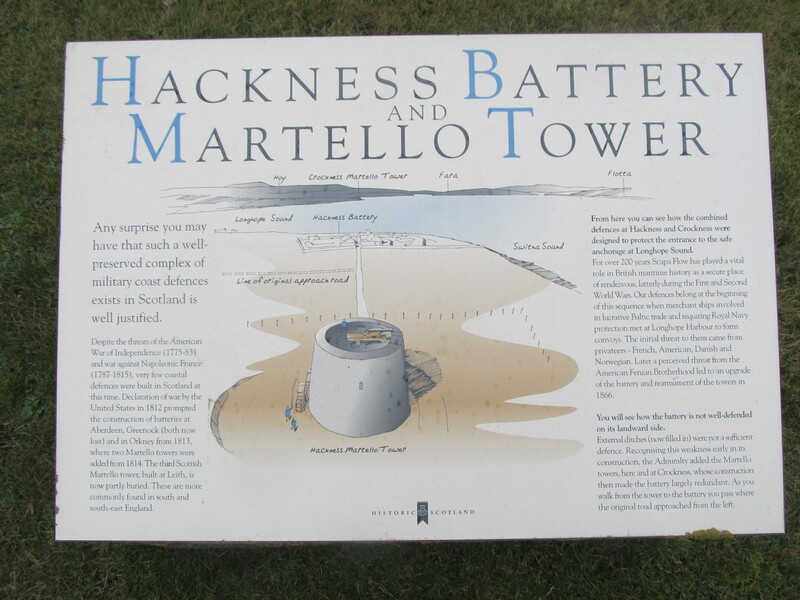 Hackness Martello Tower, Longhope, Hoy, built to protect anchorage from which Baltic convoys sailed during Napoleonic wars. Image by J. D. Davies. Display board at Hackness, Longhope. Image by J. D. Davies. 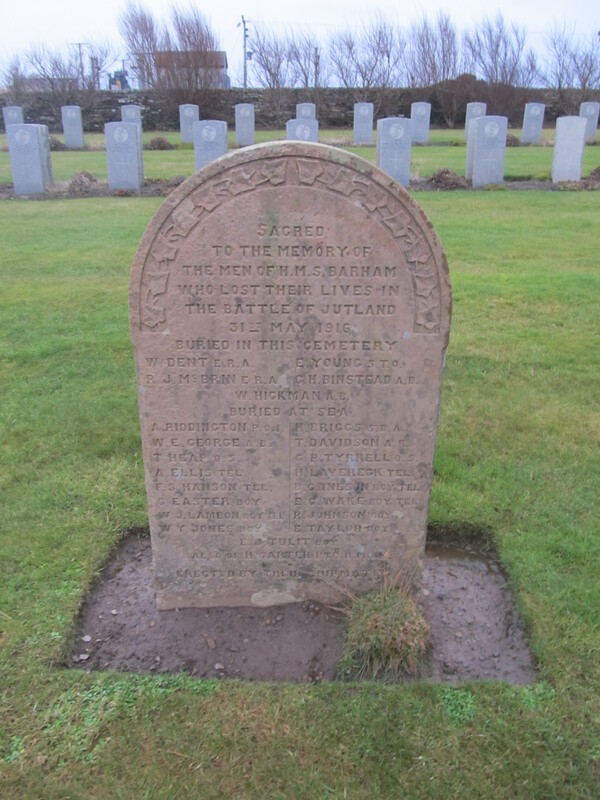 Lyness naval cemetery, Hoy: memorial stone to those killed on HMS Barham at Battle of Jutland. Image by J. D. Davies.